Publishing giant Activision Blizzard is reportedly set to lay off hundreds of staff in the next couple of days. 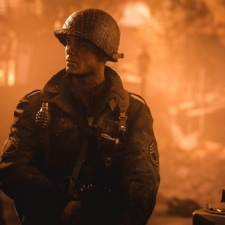 That's according to Bloomberg, which claims that the Call of Duty and Overwatch firm is going to be announcing the cuts on Tuesday, February 12th upon releasing its financials. This figure could likely be in the hundreds as Activision tries to boost its profits. There's no indication which parts of the games giant are going to be affected by these layoffs. No doubt we'll find out more about the job cuts during Activision Blizzard's investor call. This follows a rather tumultuous year for the games publisher, whose share price (below) has dropped by 36.5 per cent since February 2018.